Play in the mud with Guttenberg Gallery's house potter, Steve Solomon. Steve has taught many a first-time wheel thrower, and his years of experience give him something to offer potters of all levels. Cost is $65 per person and includes instruction and materials for two finished pieces of pottery. Limit six students. Students will learn the herringbone wire weave and how to make a wrapped loop with instructor and Guttenberg Gallery artist Zanetta Hoehle. 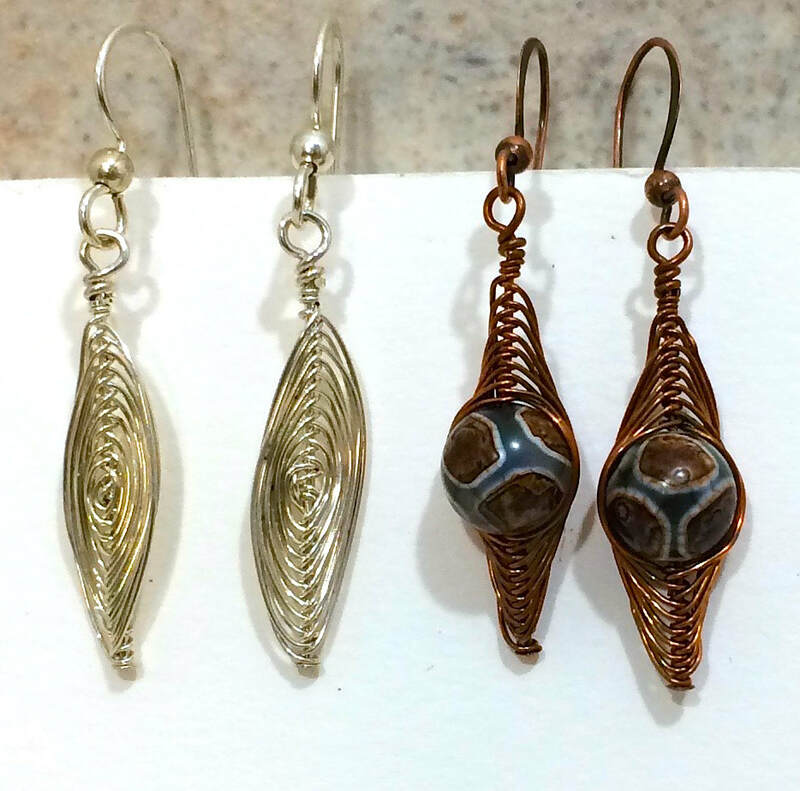 Using wire, create two pairs of earrings - one with a center bead and copper wire, and the other using sterling silver wire to create a leaf. Students will also learn to form a wrapped loop and how to attach ear wires. Other variations of this stitch will be discussed. $35 includes instruction, supplies, and printed materials to be taken home. Limit 8 students. Call 563.252.2787 or email us to register. Guttenberg artist Molly Moser will guide participants through an acrylic painting and each student will leave with a finished work of art. 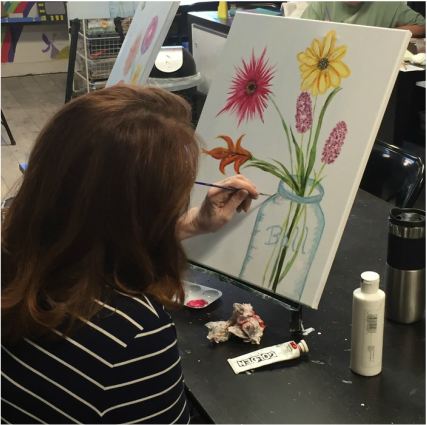 Enjoy local wine and great company during Canvas Uncorked, held at the Creativity Center or at your location. 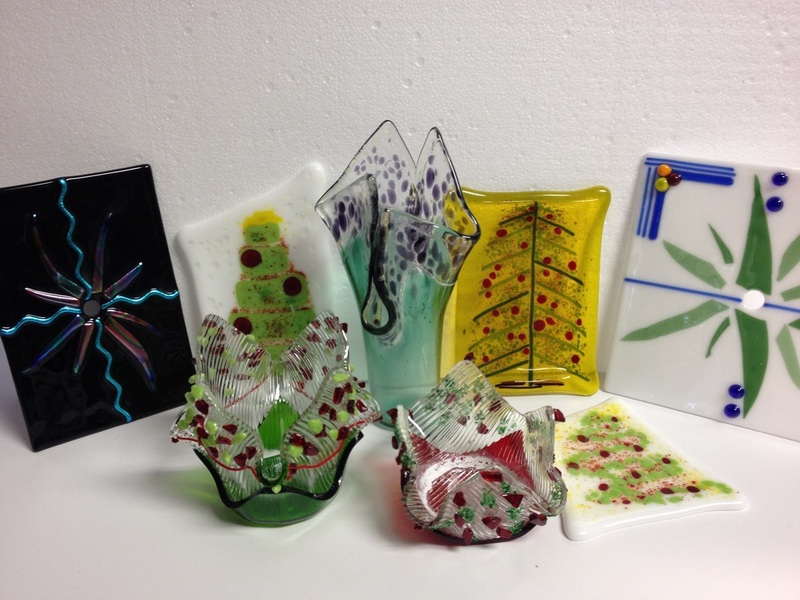 Learn to cut, fuse, and design your own glass night light, plate, vase or bowl! Cost depends upon chosen piece; price range is between $20 and $50. Class is suitable for beginners. Learn basic techniques for throwing on the pottery wheel with our house potter Steve Solomon. Cost is $60 and includes two finished pieces. Remember us for your private events! If you are interested in scheduling a private event, please call us at 563-252-2787 or click here for our events request form. Learn to swing just in time for wedding season! Instructor Miranda Beyer of Fusion DanceWorks in Edgewood will lead this couples course in swing dancing. Grab your favorite dance partner and meet us on the third floor of the municipal building in Guttenberg. Cost is $35 per couple. Who are the ARTISTS in your neighborhood? Join us as we work alongside local artists as they teach us amazing techniques such as painting, sculpture, drawing and more. Take home masterpieces that you created or enter them into the Clayton County Fair. This camp run Monday-Thursday from 9:00 am to Noon. Each camp is $20 for non-4H members or $10 for enrolled 4H members.